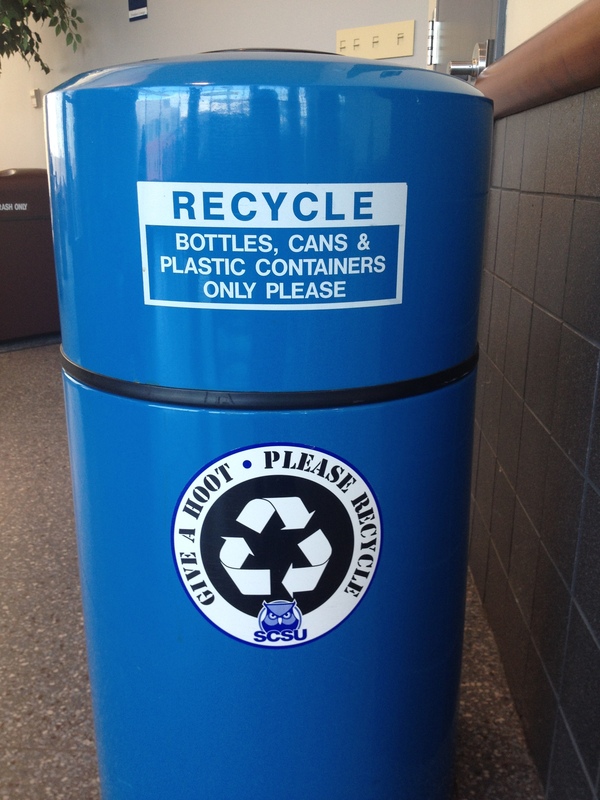 Making an effort to be more environmentally friendly and aware is much more than just recycling bottles and cans, said Heather Stearns, SCSU’s Recycling Coordinator. 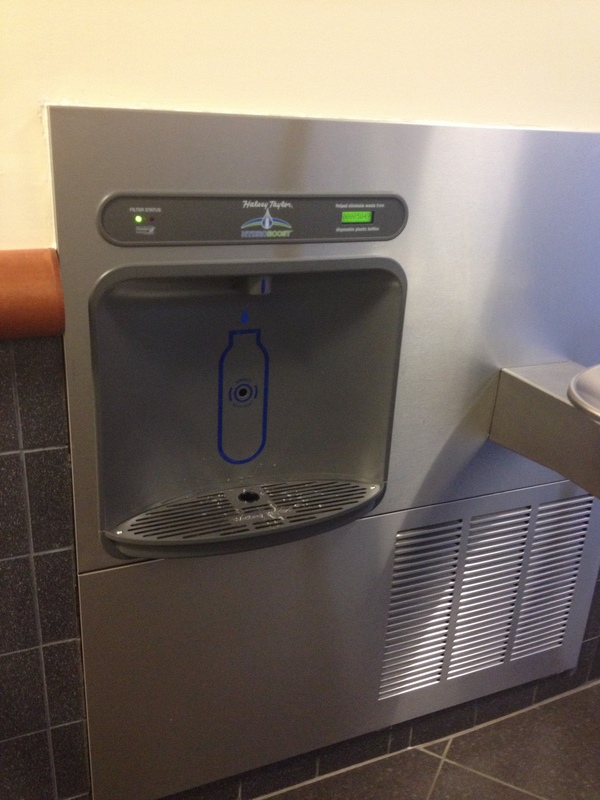 Stearns said the campus’ effort to be more sustainable doesn’t stop with her department. SCSU participates in America Recycles Day each year, which fell on Nov. 15, in order to raise awareness of the wide range of efforts made across the country to become more environmentally friendly through recycling. According to America Recycles Day’s website, 1078 events have been registered this year and range from the recycling of cans to clothes. Stearns said even though her plan for the university’s participation in the day of awareness didn’t go as she envisioned, her department is still conducting a reuse project campus wide. SCSU has also aims to “go green” through the implementation of water bottle re-fillers which aims to reduce the amount of plastic the campus uses and also through the construction of the new science building that is being built with solar panels. The Huffington Post did a study that analyzed some of the most prominent ways college campuses are striving to go green across the country. They include: solar powered trash cans which compress trash and alert when they need to be emptied, the use of alternative energy sources, and not using trays in the cafeteria to reduce food waste and electricity. Suzanne Huminski, SCSU’s Sustainability Coordinator, said there are always new ways being discovered to reduce the footprint we leave on earth and it doesn’t only affect the environment, but can also affect the pockets of the average American. Stearns said the effort to be more environmentally friendly is everlasting and encourages students to get involved because the cause affects everyone.